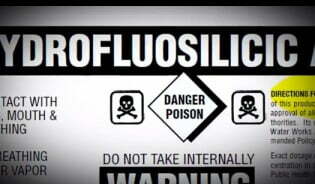 “The Great Culling” – Worried About Fluoride Safety? If you've ever wondered about fluoride safety, or if you've considered getting a drinking water filter, you'll want to bump that up higher on the priority list after you watch the video below. “You and I and our children in the U.S. are the largest consumers of hydrofluosilicic acid… Hydro: water, Fluo: Fluoride, Silicic: Sand. And it's missing an electron, it's acidic, it'll kill you. It eats through concrete, glass, stainless steel, fiberglass, plastic, you name it, it'll eat it. So, why are we putting that in the water? With mercury at least it's voluntary, but with Fluoride it's being given to us whether we like it or not. The countries that have banned the use of Fluoride are: China, Austria, Belgium, Finland, Germany, Denmark, Sweden, Norway, the Netherlands, Hungary and Japan. All these countries have said that Fluoride is ineffective and that it's toxic and should not be used! We're still using it. There's something wrong here. The use of the public water supply to deliver medicine is pretty bizarre if you think about it. Once you put a medicine in the drinking water, you can't control the dose, because you can't control how much people drink. You can't control who gets it because it goes to everybody. If you ask a pharmacist if there's any drug in his store that was safe enough to give to everyone, young people, old people, sick people, and give it to them in any dose, they'd laugh at you, it's ridiculous, there's no way you can give out a medicine without being able to control the dose! Read more about dental health topics including how to heal tooth decay! Support the filmmakers and buy their DVD: The Great Culling! 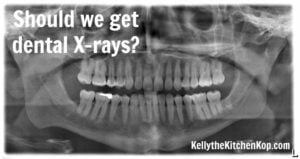 Should we get dental x-rays? My ob-gyn has treated pregnant women with terible teeth problems because they brought into all this garbage. Clean, safe tap water is one of the most amazing modern inventions EVER and this kind of vile ignorance does nothing but harm. Catholic Mom, stop! Please remeber, when you link to this stuff and lend it credence via your very well-respected website, you become responsible for the spreading of quackery that is harmful. I beg you , stick to religion. Have to admit, I HATE that Catholic Mom has this kind of anti-scientific bent to it. Have seen more anti-vaccine , and fake “nuttition” advice here than elsewhere. Please, please stop promoting and linking to ignorance and lies. You are doing a great deal of harm promoting this stuff. Confirms my comment in an earlier post about fluoride sources. How do plants respond to this fluoride? The challenge is doing water filtering for farmers. This excess fluoride winds up in our food. Just spoke to a potential new grower about this. I was about to get a berkey and still might but learned that fluoride is removed with aluminum which leaches into the water. Which is the lesser evil? I believe only RO gets rid of meds but not sure. I want a Berkey so bad but new baby and tight budget I’m going to get one soon though cause I know its worth it. I buy water but I know that’s bad cause plastic Id toxic too:( I drink Fiji then I buy gallon of waters to cook with but I know I should be doing better I just wanna get the best filter gotta save for it.I wonder if the bottle waters have the fluoride and chlorine filtered out even tho the bottles r toxic maybe I can but water bottled in glass for drinking. I wonder how pure the filtered water at the Whole Foods is??? They sell those big bottles but u can’t cat ur hand in those to scrub them and clean them good. :/ maybe I bring my own til I get my Berkey. Just curious – I have heard from many people that there is no way to really get fluoride out of city water, even through the reverse osmosis systems. Do you have any links or info I could read about that? Thanks! As far as I know, RO gets out EVERYTHING so all that’s left is H20. Does Berkey get rid of both chlorine AND fluoride??? Also I wonder if Berkey filters out the medicine that ppl flush. They’re finding it in the fish. I think it might depend on the type of Berkey, I”m not 100% sure though. Kelly, we have a Berkey for drinking/cooking…what filter do you have for the whole house that eliminates fluoride and chlorine? Yes, the source of the fluoride makes all the difference: inorganic (industrial waste) vs the naturally occurring stuff. I see absolutely no reason, at all, it should be forced onto everyone — we r given no choice in the matter. the municipalities are dumping this toxic waste into our water supplies in the name of pseudo “dental health” and we r all just supposed to grin and bear it. Pathetic. Hello.How are you today?The great culling is great.Have you seen the documentary the inconvenient tooth? umm no offance but if you drink tea you are drinking flouride. it is a natural floruide but it is flouride. most people who walk away from it in there drinking water find that they start getting tooth issues. just my two cents.. I would sooo love a whole house filter. Do you mind sharing what kind you got? Was the installation expensive? I’m going to have to save up and take this step though. It’s been on my mind a lot lately. My understanding is that distilled water isn’t healthful to drink because it has no minerals. Pure spring water that hasn’t been fluoridated, or well water are far preferable. Water is supposed to have dissolved mineral content in it. There can be adverse health effects from drinking distilled water exclusively. Higher rates of heart attack for one, if I remember correctly. We’re fortunate to have well water. Kelly, weird thing just happened! David asked me to watch a film trailer with him and I did, it was “Why in the World Are They Spraying?” (follow-on from “What in the World Are They Spraying”) by Michael Murphy and Paul Wittenberger. Then I turned back to this page and started to watch this trailer and low and behold it opens with, “Hi, I’m Paul Wittenberger, director/producer of “What in the World Are They Spraying” and now I’m working on a new project…” Great timing! There’s all SORTS of scary stuff in our world!!! Thanks for this! Just curious-what are your feelings on well water? After watching the video I’m ready to run out and stock up on distilled water but I do have a source for well water-which would be free-would that be a better option? The problem with distilled is the same with RO water, the minerals are all removed (we add mineral drops to our drinking water). So well water would actually be better as long as you know it’s free of contaminants – could you have it tested? I could get it tested, can you recommend a relatively inexpensive test to buy? Also, they have the well water hooked up to a water softener and I read somewhere that with the softener you consume on average about 2-3 teaspoons of salt a day-isn’t that a lot? I’m wondering if I could tap in to the water supply before it runs through the softener? Yes, try to go around the softener for sure. I don’t know of any tests, but if you research it, be sure to let us know what you found if you don’t mind. Thanks for this timely post Kelly! Portland’s city counsel is trying to fluoridate our water right now! I’ve been up in arms over this issue for years and now it’s coming home! We’re fighting it though… Thanks again! Thanks, Kelly! I am in Huntsville, AL. I’ve been following your blog for a few years–I really enjoy it. I sincerely appreciate your perspective on family, children, diet, and making this whole “thing” sustainable. Thanks! Kelly, I am a dentist. I actually use fluoride free toothpaste at home and filter my family’s water with a reverse osmosis filter. I only use it in our office with patients suffering from severe dental caries as a result of a SAD. We do extensive dietary counseling with these patients. So, I guess I would say that I only use the “drug” if the situation is dire enough to warrant it. I also am very wary of fluoride in our water supply. I had the opportunity to monitor water fluoridation in the USAF, and water fluoridation is very loosely regulated. Little regard is made for the ambient temperature and humidity– both of which greatly increase the ppm of fluoride concentration. Water officials were only worried if the concentration tipped over the “legal allowed dosage” of 1.2ppm. Dental fluorosis can certainly happen at concentrations lower than this. Very little concern was shown for this fact. It’s refreshing to hear from you, as it sounds like you have a lot of common sense about this issue, where many do not. I love that you help your patients with dietary counseling when needed, too! I’m currently reading The Fluoride Deception. This book will stun and shock you. Fluoride is very deadly, the government has known this since the 50s, and they’ve been colluding with industrial giants like DuPont and Alcoa to hide the real dangers of this chemical– to the point of lying to the public. It is (and was) used in the making of atomic bombs, and is also a waste product of aluminum manufacturing. If your water is fluoridated, it’s treated with toxic waste product and you need to filter it before you drink it. Thanks for posting. I was watching our local news this morning. They had a mini debate with a Dentist and a representative from Fluoride Free Arizona. It was very interesting. The Phoenix City Counsel will be deciding today on whether to continue adding fluoride to the water supply, something they have been doing for 23 years. Of course the Dentist was all for adding fluoride to the water and sited many studies on how “safe and effective” it is. I hope they decide not to continue with it. 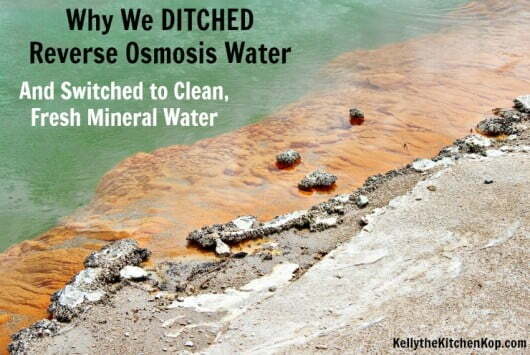 Kelly, all of this is very interesting and I completely agree about fluoride. I would like to read more! What are your sources for this information so that I can find out the rest? Did you see the links below the film clip? Check those out – they’re very interesting. Thanks for this posting! Also for the documentary on the Gorts from earlier in the week!